This timed to coincide with the Slalom Nationals. It is hoped to last 2 hrs max. Please make an effort to attend. A lot of progress has been made this year and we'd like YOUR input to setting the plan for 2010/1. Brian Smith from NZ BOARDSTORE will have the latest windsurf equipment on show! Sam Bullock will offer FREE kitefoiling lessons to everyone down there but only over easter weekend! Antoine Jaubert from J-Shapes will have all his foils for demo and there is a 2018 foil as a spot prize! 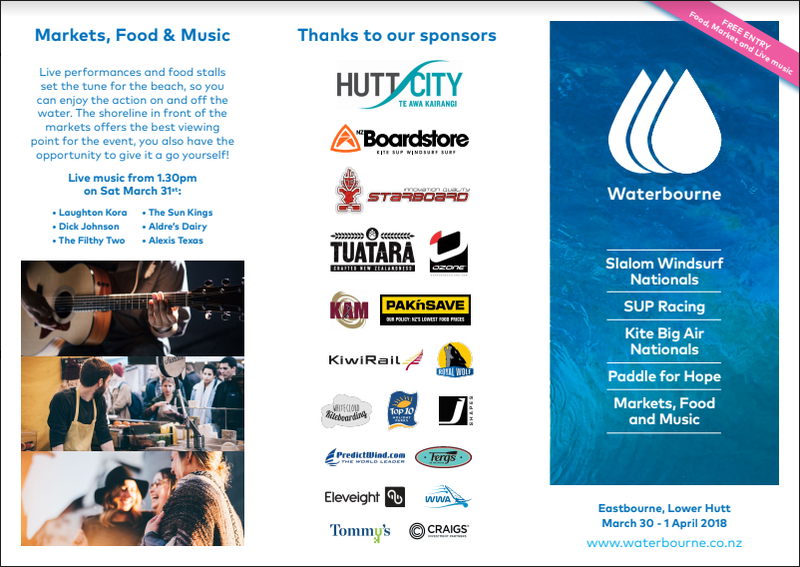 Alongside the water sport action we also have the free to public Waterbourne Beach Party (Saturday) with live music, a Tuatara bar to enjoy some refreshing craft beers, and the Paddle for Hope charity SUP racing. Its a water fest and you don't want to miss it! Waterbourne - be there, bring your family, bring your friends! Windsurfing New Zealand is excited to announce the 2018 Slalom Nationals will be held in Eastbourne, Lower Hutt during @waterbourne event. Dates for this event is 30 March - 1 April 2018. Keep an eye out for more event information through the event Facebook page. The event is shaping into an event you don't want to miss so stay tuned for more information on the official page. Waterbourne: The home of extreme water sports in New Zealand. 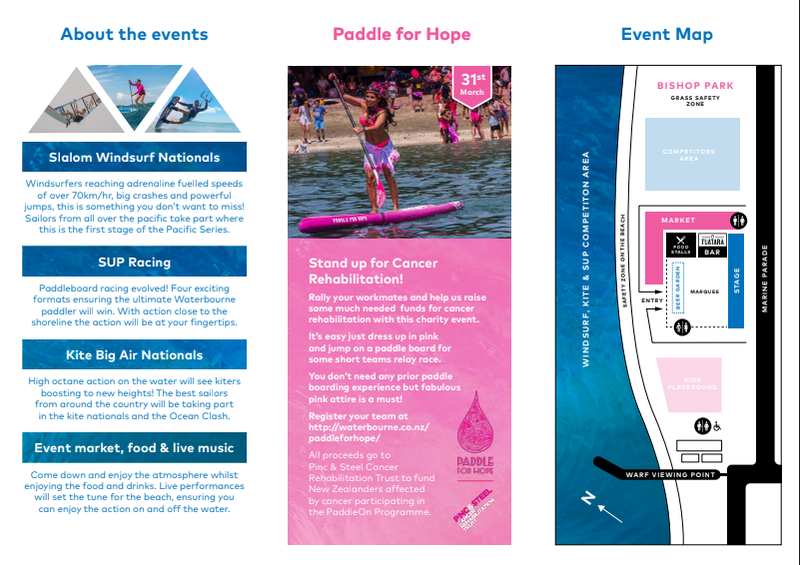 Bringing one event with windsurfing, kitesurfing and stand up paddle boarding, make sure you don't miss it.